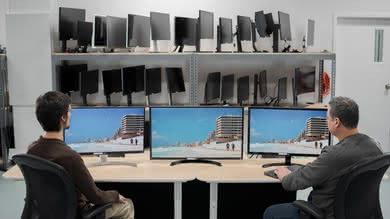 A monitor’s refresh rate is the frequency at which it can display frames every second. 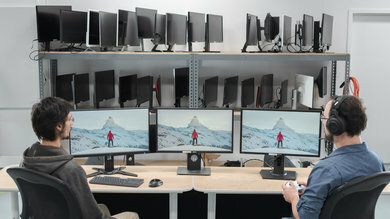 A 60Hz (Hertz) monitor displays 60 images per second, while a 240Hz monitor refreshes what is shown on screen 240 times per second. A higher refresh rate produces smoother and clearer motion if properly used, but it also allows for lower input lag if well implemented. 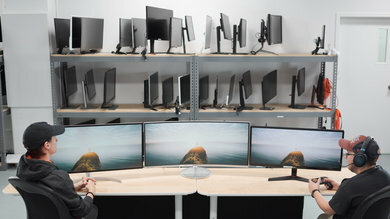 Some monitors also include a variable refresh rate feature which allows the screen to synchronize its refresh rate with the content shown onscreen which eliminates stutter and tearing caused by fluctuations in frame rate. 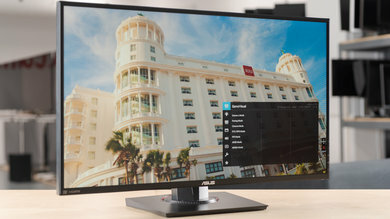 A higher refresh rate is beneficial with general desktop usage, but it is by far the most helpful with content that is commonly found at higher framerates than the standard 60 FPS like video games. That is because higher refresh rate monitors are only useful if the framerate of the content being sent to the monitor matches the frequency it is using. For example, at 24 frames per second theatrical movie will not look any smoother if being played on a 120Hz monitor. On the other hand, if your computer is capable of rendering the game you are playing at a high frame rate, motion looks crisp and the game has a "connected" feel thanks to both the lower input lag and the overall smoothness. 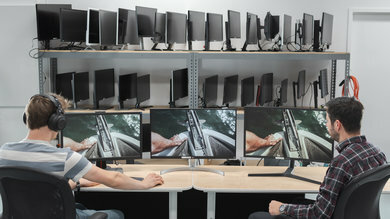 This test denotes the highest refresh rate the monitor is rated for. This is usually the value advertised by the manufacturer as monitors rarely use the fake refresh rate marketing found on TVs. This is the most important number as it represents the actual capability of the monitor. The higher the number, the better. 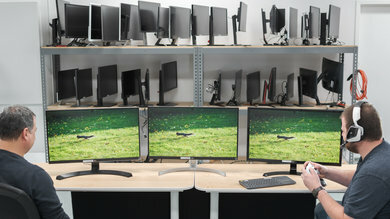 This refresh rate represents the maximum refresh rate possible when using the monitor's overclock feature. 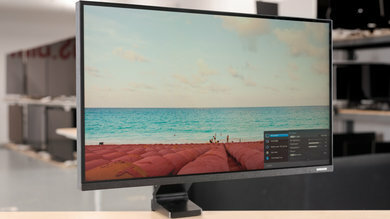 This refresh rate is a feature found on some monitors which allows the user to boost the monitor's refresh rate beyond what the manufacturer certifies. 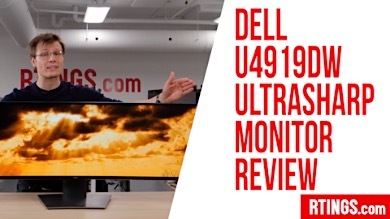 This result is less important than the native refresh rate, but it is still useful for enthusiasts that don't mind tinkering with their monitor to achieve the best motion possible. 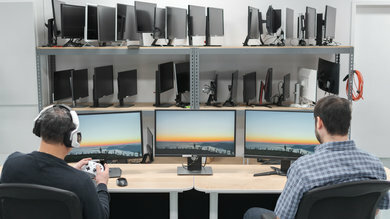 This test denotes the included variable refresh rate technology included with the monitor (generally either FreeSync or G-SYNC). 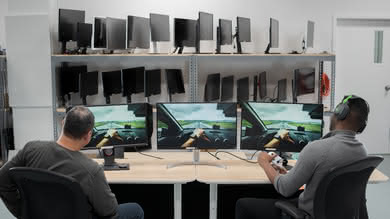 This test is useful for gamers interested in variable refresh rate features which reduces stutters and other artifacts caused by the fluctuating framerates of video games. This test represents the maximum frequency at which the variable refresh rate feature is enabled. 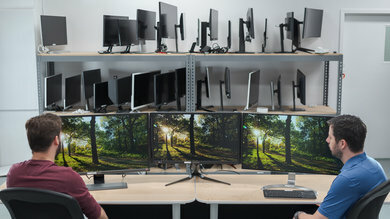 This test helps quantify the quality of the feature as some monitors restrict the feature to a range below the maximum refresh rate they are capable of, making it less useful. This test denotes the maximum frequency at which the variable refresh rate is enabled when using the monitor's overclock feature. It is the same as the previous test, but it verifies that the feature can extend to the overclocked refresh rate. Our VRR Minimum test denotes the minimum frequency at which the included variable refresh rate feature is enabled. Much like the previous test, it quantifies the quality of the VRR feature by allowing us to calculate how much of the monitor's frequency range is covered by the feature. 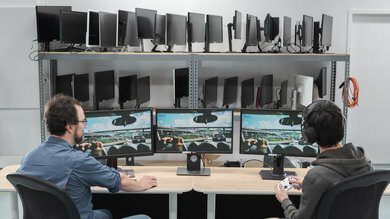 Variable refresh rate technologies like G-SYNC and FreeSync allow the monitor's refresh rate to be synchronized with the content displayed. 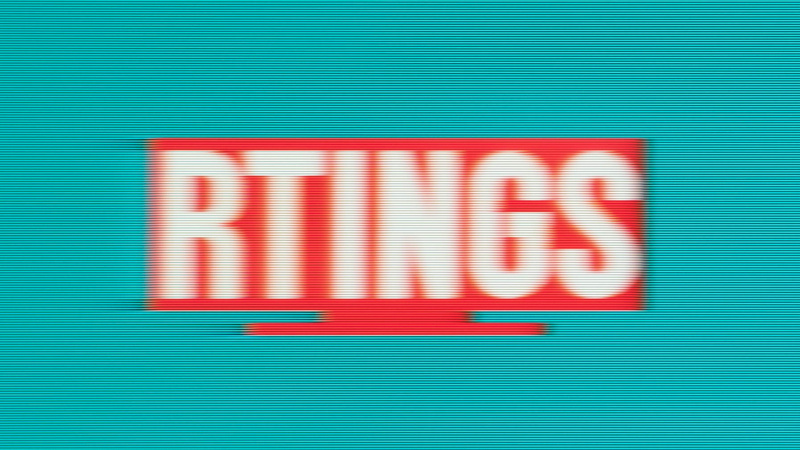 This is mostly useful for gaming since the fluctuations in framerate can cause screen tearing as well as stuttering due to inconsistent frame times. Variable refresh rates eliminate these issues since the screen only shows the frame once it is sent by the computer instead of running on a fixed schedule that isn't necessarily in sync with the content. 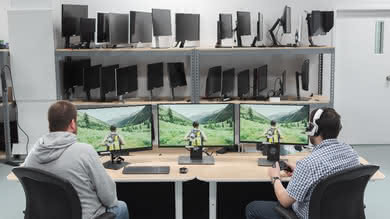 While refresh rate has the biggest impact on the clarity and fluidity of motion on screens, it is entirely dependent on another aspect called response time. We measure this as part of our motion blur test, and it refers to the time it takes for the display's pixels to switch from one state to another across a variety of transitions (for example, from showing black to showing white). The relation between them is found when looking at what we call frame time. The frame time refers to the length of time a frame is shown on screen. For example, a 120Hz monitor has 120 cycles per second (1/120), so every frame appears every 8.33 ms. If your screen's average pixel response time is higher than this, it can cause blurriness since the pixels rarely have time to complete their transition before switching to displaying the next frame. It is rare, but in more extreme cases, it can cause the highest refresh rate setting to look worse than a slightly lower frequency. 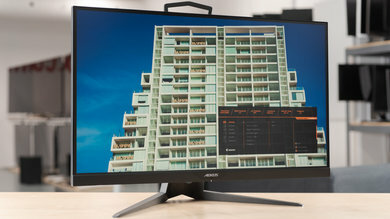 Because of this, it is important to consider our entire motion section and not only the refresh rate to evaluate the motion capabilities of a monitor. There isn't much to do to enable the maximum refresh rate of your monitor. It is mostly a plug and play affair and doesn't require much tinkering to get working right. 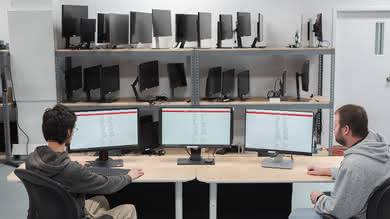 Set the monitor's refresh rate in its on-screen menu to the frequency that you want if necessary. Change the refresh rate setting on your computer. This can be done either through your graphics card's driver settings or in Windows through the display adapter properties panel which are found in your display settings. Some high-end gaming monitors have an Overclock feature that allows you to boost your screen's refresh rate beyond its standard rating. This can be accessed in the monitor's on-screen display menu. You will need to change the refresh rate in your operating system to match the overclock afterward. 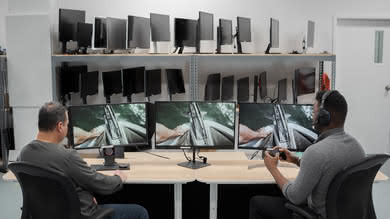 G-SYNC and FreeSync also have to be enabled through your graphics card's driver settings. These can easily be accessed by right-clicking on your desktop. 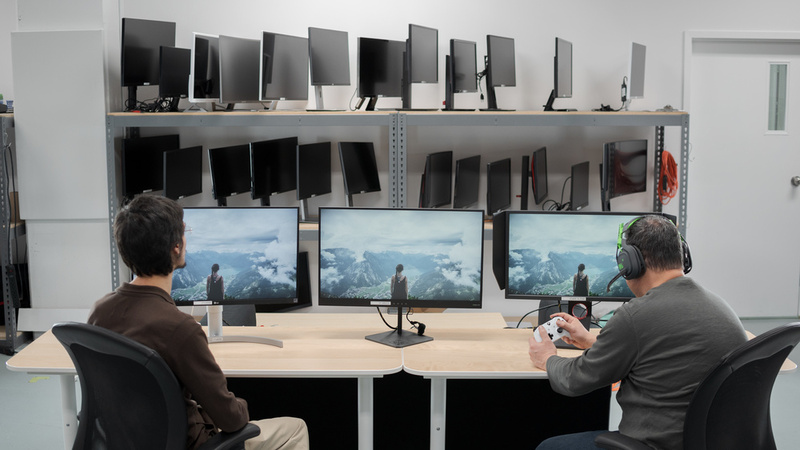 Some games and other applications that execute in full-screen mode ignore the system setting for refresh rate and might require you to enable your monitor's maximum refresh rate through their internal settings. 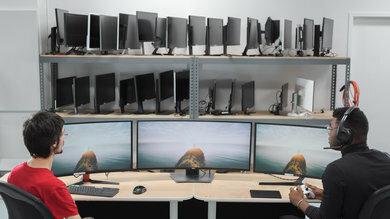 The refresh rate is the number of images your monitor is capable of displaying every second. 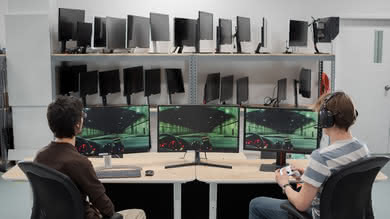 Higher frequencies produce smoother and clearer motion and enable more responsive interaction. It's most important for video games, but it offers an improvement for almost every type of usage as long as the content or device supplies a matching amount of frames per second as the screen is capable of. 60Hz is standard, but 120Hz or higher provides a significant improvement. 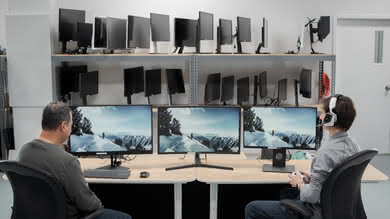 We verify that the monitor is capable of functioning at its advertised frequency as well as surrounding features that interact with the screen's refresh rate like Variable Refresh Rate or Overclock.